How Do Insects Benefit Flowering Plants? How Are Insects Beneficial to Humans? Ecologists say that if all the humans were to suddenly vanish, the environment of Earth would improve, but if all the insects were to suddenly vanish, it would be a disaster. The first results would be the death of many animal species (predators of insects) followed by the death of most plant species (pollinated by insects). 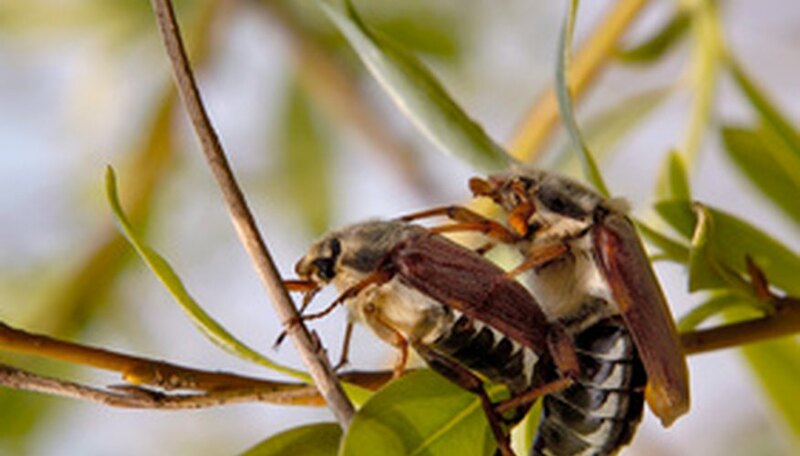 The insects are an integral part of the ecosystem, while we are often its worst enemy. Insects have been around for 400 million years. They were here before the dinosaurs. Pound for pound, there are more insects than all the other animals put together. In terms of number of species, this is also true--a thousand times over. They are in every ecosystem on the planet except the coldest. In the oceans, the line that led to insects has evolved into shrimps and lobsters. Insects have three body parts: head, thorax and tail. Most insects have three pairs of legs, and 95 percent of insects can fly at some time in their life cycle. Insects have their skeletons on the outside of their bodies--a body plan that severely limits the size that an insect can become. It is for this reason that insects are all small. This defect is somewhat overcome by social insects. A swarm of social insects can seem like a single large body that is composed of hundreds of thousands of living "cells." Insects have had a long time to evolve--and they evolve quickly because of their short life spans. The differences between the species of insects is staggering, but there are some general trends. Most insects are beetles (roaches, ladybugs and fireflies). This means they have the same form their whole lives: six legs, a hard coverings for their foldable wings and the ability to fly to escape predators or to find a new area. Some insects live their lives in two parts which are completely different (butterflies, mosquitoes and damsel flies). The first stage is without wings or sexual organs, the second stage is with wings and with sexual organs but sometimes without a system for eating. Then there are the social insects where each individual insect seems to function as a part of a larger organism (bees, ants and termites). Although insects are generally considered a nuisance, there are certain insects that benefit humanity in obvious ways. For example, bees provide us with honey and the silkworm provides us with a luxurious fabric. Insects are very nutritious and have been eaten by many cultures in historical and modern times. Most plant pollination takes place because of the activities of insects. Without insects there would be no cotton, no fruit, no more of most kinds of vegetables. Also the plants used to feed livestock would vanish, so no more meat in the supermarkets. About the only thing in the market that can't be traced back to a plant that was pollinated by an insect is dates. Dates have been cultivated for so long that they now only reproduce through the intervention of humans. If it weren't for insects, we would be up to our necks in filth. Insects break down and recycle plant and animal waste and the bodies of dead animals. If it weren't for insects, the waste of the living world would soon engulf us. Mano, Carlos. "How Are Insects Beneficial to Humans?" Sciencing, https://sciencing.com/about-6404006-insects-beneficial-humans-.html. 09 January 2018.